Shiroka is a well village on the shore of Lake Shkodra. It is located just 3 km from the Bune Bridge and 5 km from the center of Shkodra. 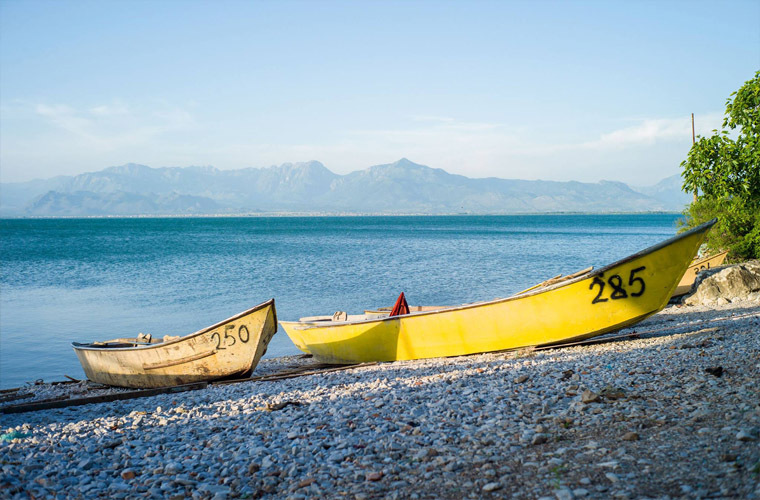 Throughout the trip you will be able to see many fishermen and some restourats that have recently been raised will offer you very tasty local produce. Shiroka offers countless beaches and quality services for all holidaymakers. If you decide to spend a night in the tranquility of the lake, do not hesitate. On the same street, only 4 km away you will encounter the village of Zogaj, very similar to Shiroka. Even here there is no lack of good premises where you can taste the traditional fish-based traditional dishes. Both villages are fishermen villages.